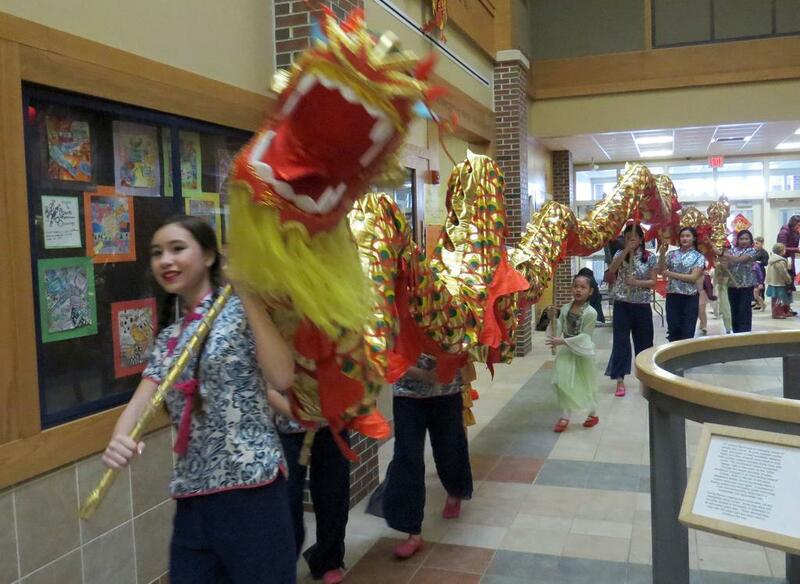 Students from CAFAM’s Chinese School embark on a dragon parade through the halls of Westbrook Middle School during the organization’s celebration of the Chinese New Year, which began Tuesday. The organization has held its annual New Year celebration at the school since 2012. 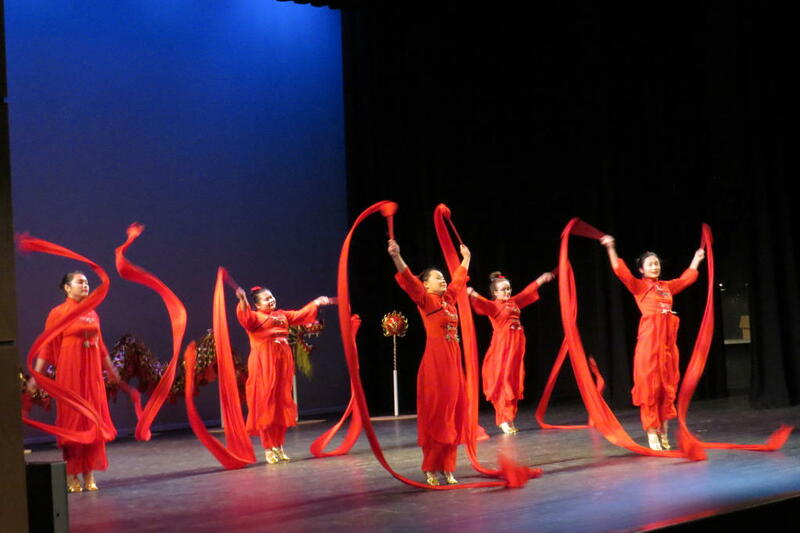 Dancers from the Chinese and American Friendship Association of Maine’s Chinese School welcome the Year of the Pig with celebration ribbons during Chinese New Year festivities Feb. 2 at the Westbrook Performing Arts Center. In Chinese culture pigs symbolize wealth and good fortune. 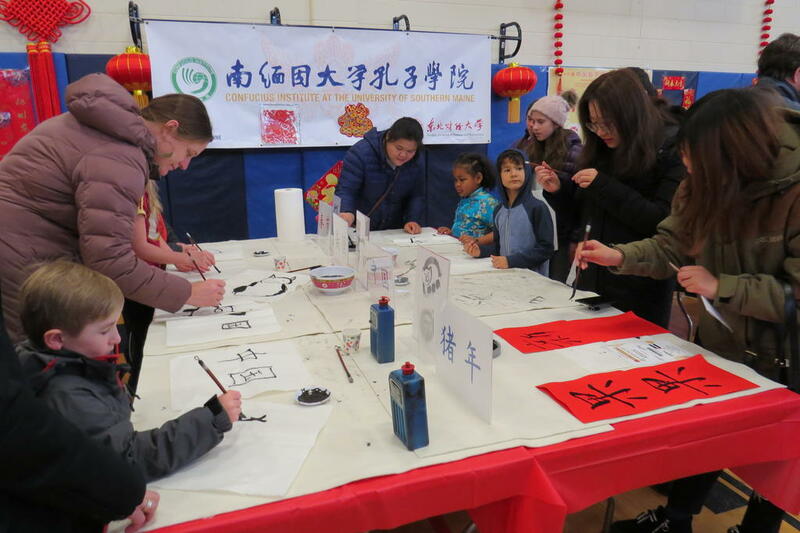 The Confucius Institute at the University of Southern Maine hosted an opportunity for members of the public to try their hand at Chinese calligraphy as part of the Chinese New Year celebration last Saturday in Westbrook. The event also included performances, traditional music, speakers, demonstrations, arts and crafts and Chinese food. Rodger Wong, of Bangor and his daughter, Penny perform as lion dancers Feb. 2 during CAFAM’s Chinese New Year celebration. 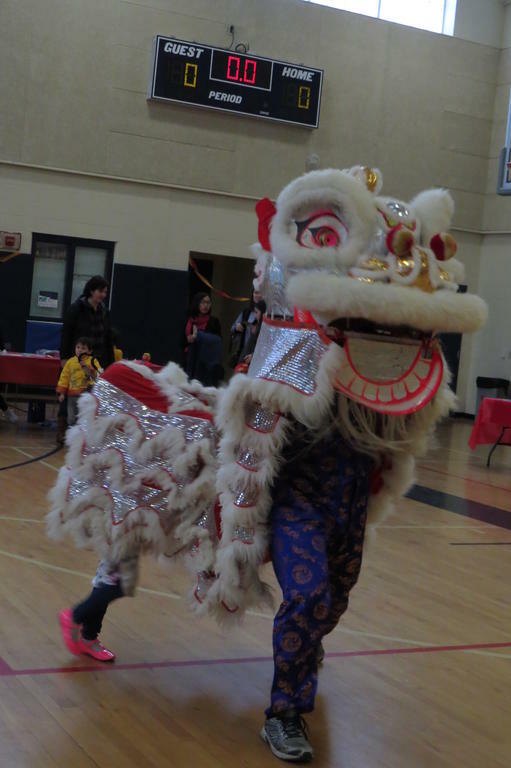 Wong has performed the lion dance all throughout Maine as far north as Houlton and as far south as South Portland.